MOSCOW, January 1. /TASS/. Russia considers mass unrest in Iran as the Islamic Republic’s internal affair and hopes that the situation will develop without any bloodshed, Russia’s Foreign Ministry said in a statement on Monday. "This is Iran’s internal affair," Russia’s Foreign Ministry pointed out. "We express the hope that the situation won’t develop under the scenario of bloodshed and violence." "External interference destabilizing the situation is inadmissible," Russia’s Foreign Ministry stressed. As Al Jazeera TV Channel reported, protests in Iran started in Iran’s second largest city of Meshed on Thursday. The protesters took to the streets protesting against price hikes. 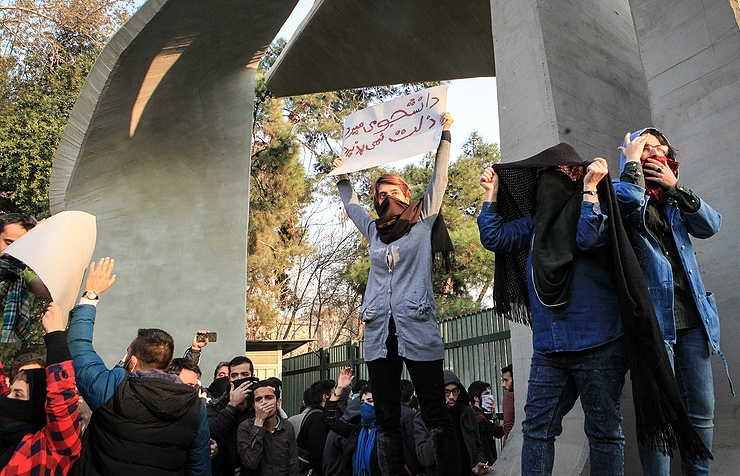 The protests also spread to other Iranian cities. As the Associated Press reported, at least 12 people were killed in protests.